Saw a really interesting documentary film the other night called "OUT OF PRINT", a wide-ranging PBS Frontline-style newsburst about the decline of print and the rise of electronic media. If I get my act together, I'll try and find the time to review it and "discuss" the many questions and issues it provoked. In the meantime, one of them's been a-brewing in my own cranium for a while, and that's the potential if not inevitable disappearance of the physical bookstore, and the effect that will have on literary discovery, and on literacy in general. I've personally re-committed myself to "book learning" over the past year, trying as much as I'm able to steer myself away from the siren song of online media and even from short-form magazine pieces as my primary informational input. This book learning is taking many forms – audio, traditional and e-reading – and it's within the realm of the latter where I made a possibly principled (?) decision yesterday, the sort of feel-good, empty gesture I normally scoff at. I bought an e-reader from KOBO, a Canadian company who've emerged as the last standing pure e-reading alternative to the Kindle, unless you believe the "Nook" still has some skin in the game (I don't). Now let me make it clear I've got no real beef against Amazon.com, and until yesterday, when I passed it on to my son, I too owned a Kindle, the old-school kind with no backlight and that only allows for the consumption of books. I'm a semi-frequent Amazon customer across all sorts of products, and it's my belief they've done much more good than harm in terms of enabling easy, friction-free, time- and money-saving commerce across a variety of spheres – not to mention been a very real contributor to a very real "book boom" in self-publishing; to the a dispersion of niche titles; and a strong enabler of reading in general. That said, I hate monopolies, and I love physical bookstores. Independent bookstores are where me and my family spend an inordinate amount of time, and I want them to be around for my son and his family as well. Typically, when we walk in, which is often, we walk out with 1-3 items, which is why the three of us have way more books than we can read. Amazon and its locked-in Kindle ecosystem has the potential to be the final nail in the coffin for the physical bookstore, who've seen their ranks dramatically thinned anyway over the past 15 years thanks to Amazon's other innovations in online book selling. If the second revolutionary wave of e-reading passes them by, they're absolutely gone for good. Enter Kobo. Kobo's e-readers have been for sale at some of my favorite independent bookstores the past year, like San Francisco's Green Apple Books; Seattle's Queen Anne Book Company and Santa Cruz's Bookshop Santa Cruz. The deal works like this: when you buy an e-book from Kobo (whether you ultimately read it on Kobo's hardware or not), your favorite indie bookstore gets a generous kickback on the sale, whether or not they actually had anything to do with it. (Why would they, right? It's virtual). This means that if you're in your favorite indie store and you see something you like, but aren't ready to commit $26 to the hardcover but could see yourself kicking down $15 for the e-book version – well, now you don't have to dial up Amazon's app on your smartphone there in the store, and embarrass yourself and all freedom-loving people. You dial up Kobo's instead, hold it up so that the people at the counter know you're not buying for your Kindle, announce in a very loud, sanctimonious voice that you're "shopping locally", and then slink out of the store. Of course, I didn't only buy the Kobo Glo because I'm a self-righteous liberal concerned about saving the independent bookstore. It has a rad backlight, and I totally needed one of those so I can read in bed. But I'm actually hoping that this helps keep the Green Apples and Bookshop Santa Cruzes and the Booksmiths of the world in business a little longer, and actually pads their bottom lines a bit to make up for previous losses to Amazon. I don't have to do anything different, just read on a newer, better, e-reader, and maybe pay an extra 50 cents or so per book than I would otherwise via Amazon's cutthroat pricing. 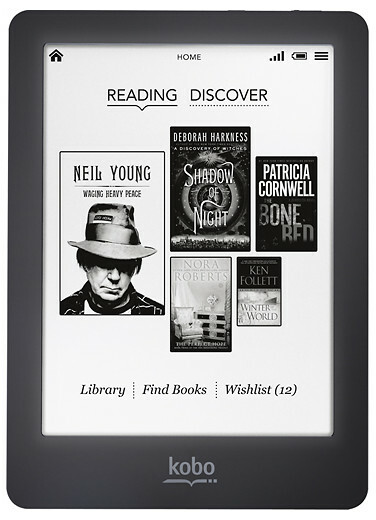 I'd love to see this particular e-reader catch on and serve as a viable alternative to the Kindle, and succeed where the Nook has most likely failed (the Nook, too, was its own locked-in ecosystem anyway). If you're thinking about the same sorts of issues from time to time and have a local bookstore you'd like to support (there's a great list here), I submit that you please consider the Kobo. "KASSIDAT – RAW 45s FROM MOROCCO"